Chief Minister N. Chandrababu Naidu met Saudi Aramco vice-president (international operations) Said Hadrami at the ongoing World Economic Forum (WEF) summit at Davos. Naidu explained to the Aramco representatives that Andhra Pradesh was making rapid strides and taking necessary steps and creating investor -friendly environment. The ease of doing business was also improving in Andhra Pradesh. The speed at which projects were being implemented in the State speak volumes of the government efforts to promote the industry. Aramco can invest in oil refinery in the State. Inviting them to get involved in setting up a Petroleum University in the State, Mr. Naidu explained Andhra Pradesh’s interest in petrochemicals, the potential in Krishna Godavari basin, the idea of Petroleum University, the technology and the skilled workforce available in the State. Rachel Morrison has become the first female cinematographer to receive an Oscar nomination in the 89-year-old history of the Awards. She has been nominated for her work in the film ‘Mudbound’. “The job of the cinematographer is to visualise emotion – things we as women are inherently good at,” said Rachel. 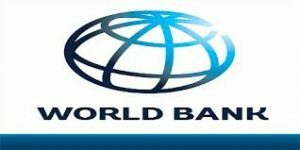 India signed $120 millionloan agreement with multilateral lending agency World Bank to help increase access to improved water supply services in in peri-urban areas in Uttarakhand. The agreement was signed between Government of India, Government of Uttarakhand and World Bank Board. The loan amount will be used for Uttarakhand Water Supply Program for Peri-Urban Areas to help the state to increase water supply coverage as well as ensure sustainable water supply service delivery in peri-urban areas. The program will develop and implement service-oriented and efficient water supply for peri-urban areas, strengthen current monitoring and evaluation systems. It will also provide dedicated incentives for preparation and adoption of of water supply ‘master-plans’ in peri-urban areas. India has been ranked 177 among 180 countries in the Environmental Performance Index (EPI) – 2018. This index has been developed by Yale University and Columbia University in collaboration with the World Economic Forum and the Joint Research Centre of the European Commission. Top 5 countries are Switzerland, France, Denmark, Malta and Sweden. Top bottom countries are Nepal, India, Congo, Bangladesh, Burundi. The 16th International Energy Forum (IEF) Ministerial meetingwill be held in New Delhi in April 2018. According to the Union Minister of Petroleum and Natural Gas Dharmendra Pradhan, the meeting will be hosted by Government of India in New Delhi and co-hosted by the Government of China and South Korea. The Andhra Pradesh Governmentand the Canton of Zurich signed a letter of intent, to promote mutual prosperity and development. 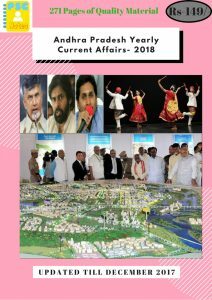 The agreement was signed in the presence of Chief Minister of Andhra Pradesh N Chandrababu Naidu and Government Counselor Minister Carmen Walker Spah for sister state relation. Tamil Nadu CM Edappadi K Palanichamy receives UNESCO Award. Tamil Nadu Chief Minister Edappadi K Palanichamy received UNESCO Award of Merit awarded to the iconic Srirangam Ranganathaswamy temple in Tiruchirapalli. The award of merit was awarded by UNESCO Asia Pacific region for the reconstruction activities undertaken in temple without in least affecting its traditional splendour and Vedic rituals. It is considered as one of the most important of the 108 main Vishnu temples (Divyadesams). It is Vaishnava temple built in Tamil or Dravidian style of architecture. It is located on an islet formed by twin rivers: Coleroon and Cauvery. The temple complex is situated in sprawling ground of more than 156 acres. The temple and 1000 pillared hall were constructed in the Vijayanagar period (1336–1565) . The water storage available in 91 major reservoirs of the country for the week ending on January 11, 2018 was 80.484 BCM which is 50% of the total storage capacity of these reservoirs. This percentage was at 52 for the week ending January 4, 2018. The total storage capacity of these 91 reservoirs is 161.993 BCM, which is about 63% of the total storage capacity of 257.812 BCM which is estimated to have been created in the country. Thirty seven of the 91 reservoirs have hydropower benefit with installed capacity of more than 60 MW. The storage during the corresponding period of last year was 58% and average storage of last ten years during the corresponding period was 54% of live storage capacity of these reservoirs. Thus, the storage during the current year is less than that of the previous year and is also less than the average storage of the last ten years during the corresponding period. Over 50% of sub-divisions in India have witnessed a decreasing trend in monsoon rainfall from 1981 to 2016, but the country has seen a 24mm drop during the period, a fresh Indian Institute of Tropical Meteorology (IITM) report has found. The study stated that the number of deficient monsoon years during this period have been more than excess monsoon years — with 20 excess and 27 deficient years.